Our collection of Kerala holidays, tours and package holidays around Kerala broken down into durations and themes to help you choose. 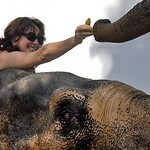 These are "sample" holiday itineraries and our team of holiday craftspeople make them up bespoke to your requirements. If you have children, or members of the party with specific requirements such as disability access or diet, we can ensure that your holiday meets those needs. We can also re-jig tours for different budgets so if you see a tour you like but need to meet a specific budget, just tell us and we will work it all out and send it on you. A lot of customers ask for a quick overview and flavour of Kerala. So, here goes. I tend to suggest that Kerala is a "human safari" where you get to combine a rich human experience with a lot of very varied landscapes and wildlife. Don't get me wrong: Kerala is not safari like Sri Lanka or indeed Africa but there is a bewildering variety of cultural influences all jostling with a wonderful and rich landscape. Kerala has a long religious and cultural history that makes it feel very unique. The climate makes for exuberant growth and agriculture and the general wealth of Kerala in comparison to North India means that there is less of the poverty encounter which makes a big difference. Kerala can be poor, but it is not broken on the rack of poverty as some northern states can still seem to be. We have created a little map that shows the interesting different zones of Kerala to give you an idea of where people tend to go and also the areas you have possiby read about. Blue is the backwaters for houseboats; yellow are the beach zones, green the jungle and forest, etc. If you click on a zone it explains what it is. These are areas are summaries to give you an idea since many visitors have head about attractions without necessarily knowing where they are. 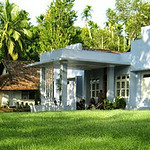 The most popular time to holiday in Kerala is over the winter months of November, December, January and February. This is when Kerala is both dry and hot and the level of humidity is very bearable. It goes without saying that this is the period when hotel prices are higher. The single most expensive period is over Christmas and New Year, which even in a largely Hindu country is a very popular festival; many Indians come down from the north to enjoy Kerala's tropical climate. Outside of those months, the prices drop and they are at their lowest over the monsoon season which starts in June and continues on and off through until September. Once upon a time the monsoon was as regular as clockwork and its pattern and weight could be predicted with some certainty. It used to be said that the monsoon would always break on the first day of school term. Today, like in many other parts of the world, the monsoon has become much more fickle and for some periods the rain can be light and four others extremely heavy incurring flooding. 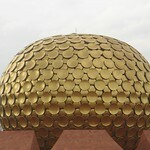 Monsoon season is also known as the season of ayurveda when the damp and even temperatures are ideal for treatments. You can see the difference between the coast and the mountains. In the mountains there is the constant pitter patter of rain throughout the year and the monsoon is much less intense in terms of rainfall. At night, the temperatures drop lower and it is not uncommon to see people in sweaters as though it is Baltic. One of the reasons why the Hill stations are so popular with our Indian visitors is the low readings on the heat and humidity index which means it is very comfortable to walk around. Although the monsoon is less intense, it is worth remembering that the monsoon falls onto mountain slopes which means that it gathers in the valleys much more quickly. The right two side-effects of this: the Hill stations can become inaccessible because of flooding on the roads and landslides can also have a major impact. If you are European, or at least from Northern Europe, then the likelihood of rain seems a bit of a downer. Rain is what makes Kerala beautiful! If there were months with no rain then Kerala would be a desiccated place rather than the green and verdant Kerala we love. The rain in Kerala is not like the rain in Europe: it is a whooshing, intense experience that can pass quickly except in the monsoon months. Suddenly, the humidity rises, the air thickens and then just as you grow uncomfortable, the heavens open and everything glistens and shines in the reawakening sunlight. The only time you have be aware that rain can be sustained and relentless is during monsoon season where in July, Kerala might see as much as 1 metre of rain! Kerala is probably the easiest Indian state for a new visitor: a holiday here combines all the characteristics of the Indian subcontinent with a few of the drawbacks. Kerala in relative terms is wealthy and it is unusual to encounter the level of begging common in the large northern cities. The tropical climate is kind and so you can enjoy a constant supply of fresh food. It's not for nothing that the upset stomach was always called Delhi belly. Down here in Kerala food is fresh and the ingredients excellent: the Currys hot, the raise a plentiful supply of fish both from the sea and the backwaters and everything is accompanied in some fashion or rather with coconut. If you are a vegetarian: this is paradise. Kerala is an easy holiday destination because there is so much less hassle and bustle. It is also culturally and geographically varied despite its small size. From the coast to the mountains is less than 100 miles and yet during that period you can encounter beach, backwater river system, farmland, lowland plantations, mountain jungle and Teagarden. A four hour drive can take you from the beach at sealevel up to 5000 feet above the clouds and mists. 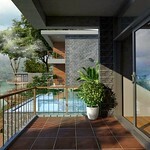 Therefore, getting around on your holiday is easy and very possible. Kerala is also an excellent starting holiday for India: its culture is ancient and combines a blend of many of the narratives common across India. Its population is evenly divided between Muslim, Hindu and Christian and for each religion, the local worship is as ancient as anywhere in the world. You can visit mosques that were first built during the life of the Prophet Muhammad and you can visit churches founded by the apostle St Thomas. You can drive past a mundane looking Hindu temple and be told by the driver or guide that it is over 3000 years old. 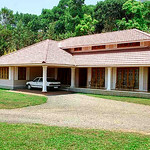 The climate of Kerala also makes this a good holiday destination. Throughout the year the Arabian sea brings water up to the mountains and even during the dry period there can still be rainfall. If you travel east into Tamil Nadu you can immediately see what a benefit this is is the state of Tamil Nadu is dry and baking the hot for much of the year and travelling through it can be an uncomfortable experience. Kerala, in its stead, is plentifully and wonderfully verdant and green and even on its driest and dustiest day's looks vibrant and alive. The small size of Kerala makes most places relatively accessible, at least in Indian terms. A few hours drive will normally get you to your next destination. However, visitors from Europe and the States will soon discover that the local drivers have their own protocols which can sometimes make for an alarming journey. It is not unknown for a truck driver to take a 40 winks in the cab and people will sometimes drive at night without lights. The good news is that the slower speeds can somewhat compensate for the inherent dangers of lackadaisical driving. Old India hands will laugh when they compare the situation of Indian roads compared to the olden days; they are certainly much improved, no question. Some of our visitors enquire about the possibility of driving themselves. This is not only possible but also pleasurable if you are seated on a classic Royal Enfield, but we would not advise this with a hire car. A relaxing holiday and driving your own car in India is a contradiction in terms. The good news is that it is every bit as cheap to have your own driver and since the our no road signs, you can sit back and enjoy. It was only a few years ago that the only way to travel around India was in the venerable Ambassador car, the Queen of Indian roads. Today most cars are half Indian and half Japanese but for the traditionalists among you we can still offer the joy and soft springs of the Ambassador. It remains the most comfortable car in India. While you are with us you should take the opportunity of experiencing the Indian Railways, the world's largest and busiest railway system. More than any other mode of transport, it is the trains that stitch this country together. If you are planning to travel a distance, then let's pop you on the train. It would be wonderful if you could travel to the Hill stations by train, but sadly only Ooty has a train service. For most visitors, the first stop is Fort Cochin. This small enclave is the colonial outpost first built by the Portuguese and it retains much of its original atmosphere. Even the local family names are Portuguese. This is a good starting point as Fort Cochinis relatively laid-back and quiet so it's a great place to get your breath back after a long journey. 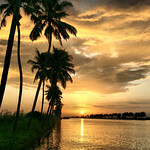 About an hour's drive South of coaching is Alappuzha which is sometimes called the Venice of the east. This is somewhat unfortunate as a combination of municipal indolence and poor sanitation make this a very poor echo of the original Venice. Blaring tuk-tuks, thumping trucks spewing diesel and the stagnant waters make this relatively unattractive place to stop. Most of you will simply travel through on your way to the houseboat jetties which sit just outside Alappuzha at the start of the backwaters. 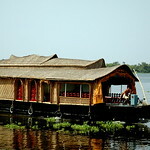 Most of our holidays feature a cruise on the backwaters in one of Kerala's unique houseboats. If you read reviews in newspapers, you will frequently read that the ideal length of cruise is one night. We think they are wrong: the ideal length is two nights. The reason for this is that the boat can travel deeper into the backwaters and since many houseboats are only travelling for 24 hours, you can soon leave them behind and enjoy the peace of the backwaters in a somewhat more solitary splendour. Not so long ago, Kumarakom was a small agricultural community beside the lake. Today, it is a bustling hive of resorts. In spite of that it retains a great charm and once you peel back and get behind the hotels, you still find small villages based around the paddy fields living very much as they have for hundreds and hundreds of years. Kerala is a narrow strip of land bordered to the West by the Arabian sea and to the east by the long row of mountains known as the Western Ghats that stretch from Mumbai all the way to the tip of the Deccan peninsular. There are two distinct ecologies in the mountains in Kerala: there are the jungle forests in the area called Thekkady which is also famous as the location for the Periyar Tiger reserve. The steep mountainsides are clad in jungle forest and remain relatively inaccessible. The climate is warm but refreshed with frequent rain showers and cool evenings. This is also the land of spices with cardamom, peppers and coffee growing in profusion. Head further North along the mountainsides and you encounter a very different ecology. About 25 miles north of Periyar is Munnar which is home to the tea gardens. Here the mountainsides are immaculate mazes of ancient tea bushes dotted with women picking tea leaves. The climate as you would expect is relatively similar and the reason why these hill stations are so popular is that in a continent that is so often dry and blisteringly hot, these towns so much cooler. Wayanad is based in the north of Kerala and is directly inland from Calicut. This Hill station is quite different from Munnare or Thekkady and features much more wild mountain jungle. Wayanad is also famous for its peppers which are renowned the world over. 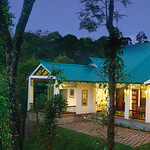 There are more tree-houses in Wayanad and it is really the wild end of Kerala. The least visited part of Kerala and all the better for it. The beaches are much quieter than down south and the whole atmosphere is calmer and quieter. This is the muslim north of Kerala and is still largely undiscovered. This tour of Kerala combines the classic traditional style Kerala hotels with a glimpse into the different landscapes and atmospheres of Kerala. Beach, backwaters & hill stations. The city, the hills, the backwaters & the beach in seven nights and 8 days, but we are flexibile for your schedule. Enjoy the different vistas and moods of Kerala whilst exploring the boutique style hotels that are the best that Kerala offers. Go off the beaten path in Kerala to the quiet beaches, backwaters and hill stations of North Kerala. Yes, empty beaches, traffic-free backwaters and quiet tropical beauty everywhere! Boutique accommodations. Two weeks in Kerala from the UK to Cochin and onwards to the beaches, plantations, backwaters and houseboats. Return flight from Trivandrum. This would suit anyone from Europe seeking a great 2 weeks in Kerala! Something of a classic Kerala route but enjoyed from the plantation chair of our favourite heritage homestays. Save money but enjoy traditional hospitality in traditional architecture. Experience the magic and diversity of South India on this 21 day journey from the palm fringed beaches of Kovalam, across the mountains and the ancient temple cities of Tamil Nadu before we end the tour at Chennai - the bustling metropolis of the South. A true kaleidoscope of modern and ancient, wild and tamed! 7 Nights family holiday in hill station, backwaters and beach. Seven nights in Fort Kochi, Munnar, Alleppey backwaters and Kovalam Beach. We have packed this tour with unique experiences in every place.